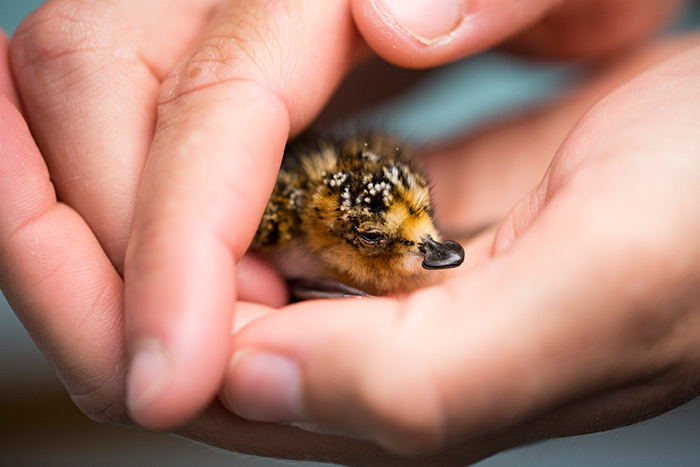 Two critically endangered spoon-billed sandpiper chicks, the first ever to be bred in captivity, have died after surviving for just 60 hours. 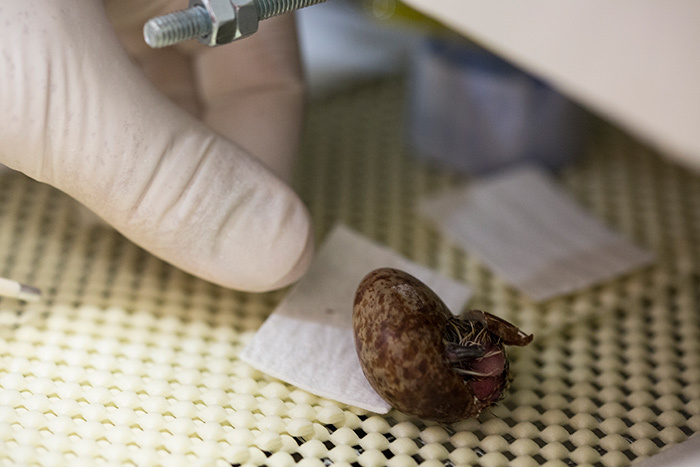 Seven eggs were laid in total at WWT Slimbridge Wetland Centre in Gloucestershire, of which only two were fertile. The first chick hatched on Saturday 2 July and it became clear quite soon that it wasn’t well and nothing could be done. 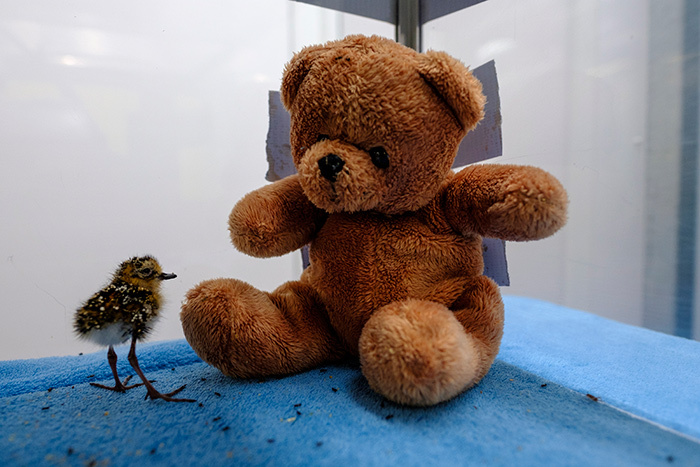 The second chick hatched on Sunday 3 July and put up a brave effort; it filled everyone’s ears with lots of chirrupy noise and brought smiles to everyone as it seemed to be thriving and developing well. But despite 24 hour expert care, on the afternoon of Tuesday 5 July its health suddenly deteriorated and it slipped away within a couple of hours. The causes of death aren’t yet known. A specialist post mortem will be undertaken for both chicks. The deaths are particularly upsetting for the team at WWT because it has taken three years of encouragement for 23-strong captive flock at Slimbridge to attempt to breed at all. This has huge implications for the species as a whole, because only around 200 pairs survive in the wild and the purpose of the Slimbridge flock is to create a captive “ark” of breeding birds to keep the species alive if attempts to stop the bird going extinct in the wild aren’t successful. In the meantime, attention turns to WWT staff working with Birds Russia in Chukotka to help protect chicks from foxes, bears and harsh weather. This summer is the fifth season of the ‘headstarting’ project, which has been boosting the number of fledglings leaving the breeding grounds by around a quarter. Every additional chick that fledges is a boost for the species which has been brought to the brink largely by habitat loss and hunting. Surveys throughout the birds’ range from the Russian Far East along the Chinese coast to Myanmar and Bangladesh indicate that the wild population has started to stabilise thanks to headstarting and action to tackle illegal hunting. The work has brought together conservation organisations from around the world, including the Spoon-billed Sandpiper Task Force, BirdLife International, RSPB, Birds Russia and WWT, and been supported by interested individuals as well as companies such as Leica Camera AG.